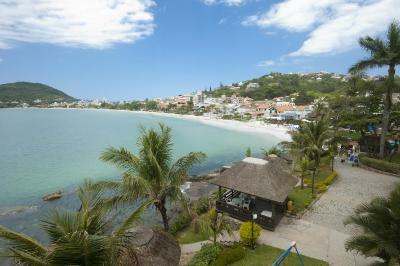 Lock in a great price for Bombinhas Tourist Apart Hotel – rated 8.3 by recent guests! The location is good and the Bombinhas beach is wonderful. Nice restaurant with ocean view. La ubicación es privilegiada. El desayuno frente al mar es muy bueno. La calidad de las camas y la ropa blanca es de muy buena. Muy lindo todo. La vista de la habitación una maravilla. Hay que volver! La ubicación tan próxima a la playa. Las piletas con vistas increibles a la playa y mar. La comida muy sabrosa. La comodidad de tener la playa a un paso del apartamento. La ubicacion del complejo y la vista son increibles!!!! La ubicación del hotel y los servicios de limpieza y desayuno son buenos. Cada inconveniente que tuve lo resolvieron de inmediato. El ambiente es familiar. Месторасположение потрясающее! Вид из номера просто фантастичный. Сидели на балконе и наблюдали за черепахами плавающими в океане! Персонал очень отзывчивый! Todo espectacular. La ubicación, limpieza, playa, súper recordable! 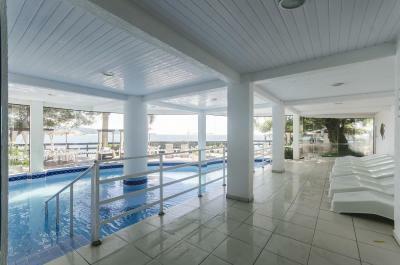 One of our top picks in Bombinhas.Located at Bombinhas beachfront and offering a set of pools and a gym, Bombinhas Tourist Apart Hotel offers self-catering accommodations. 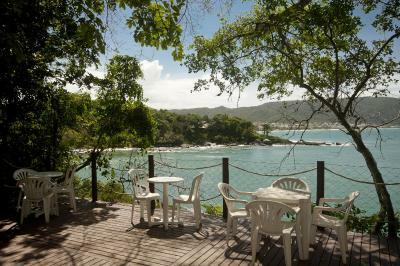 It has a 24-hour reception and a spacious restaurant. A games room with billiards is also available. 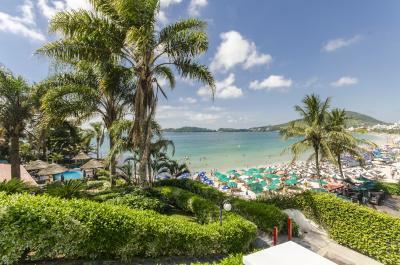 Apartments at Bombinhas Tourist Apart Hotel feature a flat-screen TV, air conditioning and a balcony.There is also a full kitchenette with a refrigerator. Some rooms have a sea view. 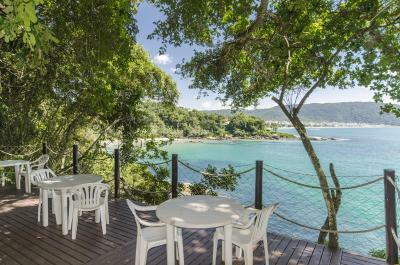 The property is 37 mi from Ministro Victor Konder International Airport, 1.2 mi from Bombinhas bus station and 1.2 mi from Praia de Bombas Beach. Praia Mariscal Beach is 3.1 mi away. Parking is free. When would you like to stay at Bombinhas Tourist Apart Hotel? Boasting a balcony with stunning sea views, this larger apartment has a fully equipped kitchen, a flat-screen TV and a private bathroom. Bright and airy, it also has air conditioning and tile floors. 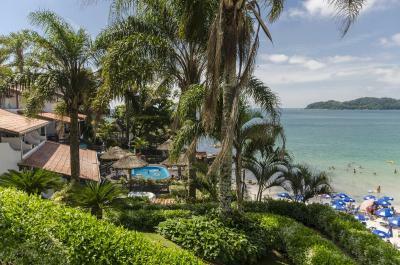 House Rules Bombinhas Tourist Apart Hotel takes special requests – add in the next step! Bombinhas Tourist Apart Hotel accepts these cards and reserves the right to temporarily hold an amount prior to arrival. In the Studio accommodations there is no cleaning service, no breakfast and towels are changed every 3 days. In the One-Bedroom Apartment there is a cleaning service, breakfast and towels are changed each day. Please note the cleaning service does not include doing the dishes. The towels are offered only for bath, not for pool/beach. The maintenance of the room is poor. Mirrors, chairs, furnitures in general are old and in a bad condition. The sheets weren’t clean enough. They were white but with several stains. The house keeping service were also unsatisfying, as an example I can mention a little spider I have killed at night on the floor that was on the same spot after the room service. Horrible shower..Tiniest bathroom. Hard mattress.